A stye is a small red bump that forms on the eyes. Caused by infections of the eyelash follicles or blockages of the ducts in the eye, they normally clear up on their own after a few weeks. In the meantime, however, a stye can be quite painful as the pus that forms as a result of the infection swells the bump to a pimple or boil-like spot. Here are a few natural remedies for styes. One of the reasons styes form is from transferring bacteria to your eye from your hands, dirty contact lenses, and old make up. 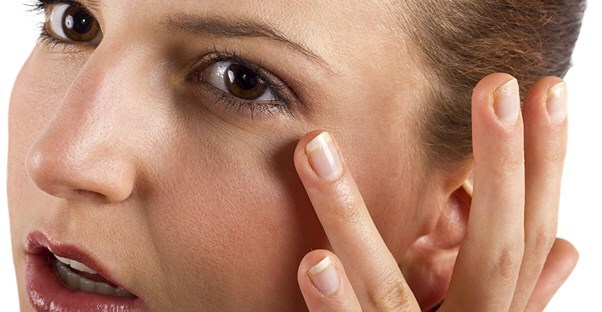 If a stye develops, it’s time to double up on your eye hygiene. Don’t touch your eye or the stye without washing your hands with hot water. In addition, keep the skin surrounding the eye clean with a gentle soap (tear-free baby soaps are a good option) and warm water. This is also a good time to go au naturale -- revert to glasses if you normally wear contacts, and avoid makeup until the stye heals. Otherwise, you may just be tracking bacteria back and forth between your eye, your contacts, and your makeup. One of the worst things you can do for a stye is to pop it with your fingers. This can force the gunk inside the stye deeper into the tissue or it can get into your eye. All the pressure it puts on the tender skin of your eyelid can be extremely uncomfortable, though! While you’re waiting for your stye to heal, try applying a warm compress. Lay is over your eye for 5-10 minutes 3 or 4 times a day. It should be soothing on your swollen lid and help the stye come to a “head” in much the same way pimples do. Eventually, it may even encourage the stye to “pop,” allowing the pus to gently release. This can help significantly with the pain and swelling and allow the healing process to begin more efficiently. If this isn’t enough to make your stye bearable, there are a few other alternative that may be a little more helpful. A nonsteroidal anti-inflammatory (NSAID) like ibuprofen or acetaminophen may help with the swelling and the pain associated with it. Additionally, rather than just using a washcloth soaked in warm water, you can use a teabag for your warm compress. Green tea actually has some antimicrobial properties that may help clear some of that bacteria out in addition to soothing and encouraging pus to release. Prepare it just like you would for a cup of tea, and after 1 minute of steeping, and once it is cool enough you can place the bag over your eye. Do not use the same tea bag for both eyes, and use a new one every time you reapply. If your stye doesn’t look better after a few days or hasn’t cleared up completely after a few weeks, it might be time to go see the doctor for some antibiotics or to have the stye professionally drained to promote healing. Additionally, if more of your eye starts to become red and swollen, give your doctor a call as this might be the beginning of preseptal celllitis.